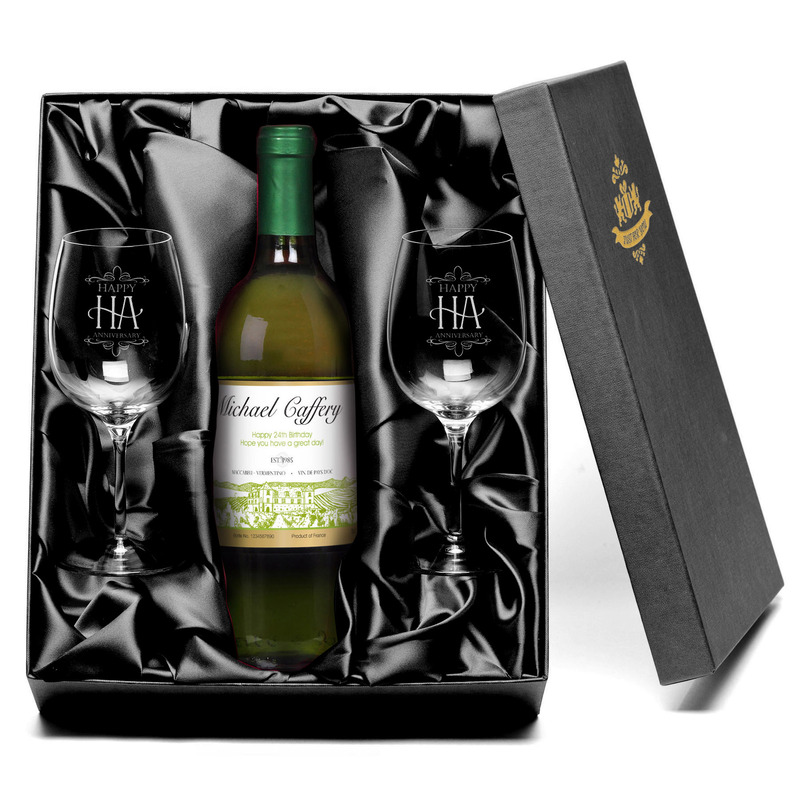 This beautiful white wine can be personalised for a special occasion and is presented in a beautiful silk-lined gift set. Choose between a crisp and dry Sauvignon Blanc or French Sauvignon Blanc Semillonand whatever the occasion, the special recipient of this gift will love the crisp flavour, especially when they see their name incorporated onto the professionally printed label along with a personal message from you. The lucky recipient can even enjoy their wine in a set of premium wine glasses.